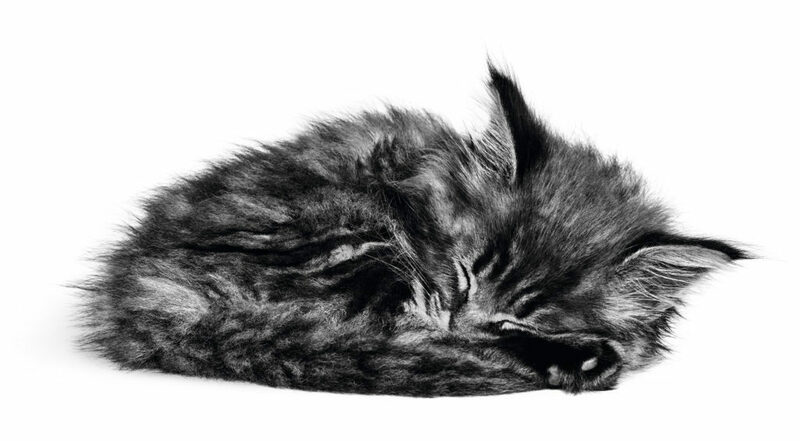 Home » Articles » Why Do Cats Sleep So Much? As a cat owner, you might well have noticed your feline companion spends a significant amount of time dozing. In the article we look at why this is and how much sleep cats need. Cats sleep for an average of 15 hours a day and can even sleep up to 20 hours out of a 24 hour period. As we mentioned in our article “Are Cats Nocturnal?”, cats are crepuscular meaning they are most active at dawn and dusk. This tends to mean that when cat owners are most active, their cats are looking to sleep. This can result in the misconception that the cat is always asleep. But why do cats sleep so much? Ultimately, it comes down to energy conservation. Your cat is instinctually a predator and hardwired to hunt prey at night. This kind of activity takes a considerable amount of energy, which means your cat is often saving themselves for this burst of activity. This is also why playing with your cat is so important, as it fulfills this hunting instinct. How Much Food Should I Feed My Kitten?